As Delta smelt and other fish species reach record low population levels and fishermen and fisherwomen brace for salmon restrictions this season, the Metropolitan Water District (MWD) of Southern California authorized the purchase of four islands in the San Francisco Bay-Delta for an undisclosed sum at a closed session of their Board of Directors meeting on the morning of Tuesday, March 8. The Metropolitan Water District is a “regional wholesaler that delivers water,” according to the MWD website: www.mwdh2o.com. MWD, Southern California’s most powerful water agency, is one of the strongest proponents of Governor Jerry Brown's California Water Fix to build the controversial Delta Tunnels. MWD’s 37-member Board of Directors represents 26 agencies in Southern California. For months, MWD has been considering the purchase of islands now used for farming. “The islands mirror the path of the plan for the Delta Tunnels proposal," said Barrigan-Parrilla. The four island deal includes Bouldin Island, Webb Tract, Holland Tract, and Bacon Island, covering approximately 20,369 acres of the Delta, according to the San Francisco Chronicle. Here is a map of the islands in the path of the Delta Tunnels. On October 30, 2015, the U.S. Environmental Protection Agency (EPA) issued the California Water Fix Draft Environmental Impact Report a failing grade of “Inadequate” due to lack of science about the impacts on the Delta ecosystem and endangered species. This report came on the heels of critical scientific reviews of the report by the Delta Independent Science Board and other panels of scientists. The January trawl survey produced only seven fish, while the February survey yielded just seven fish. 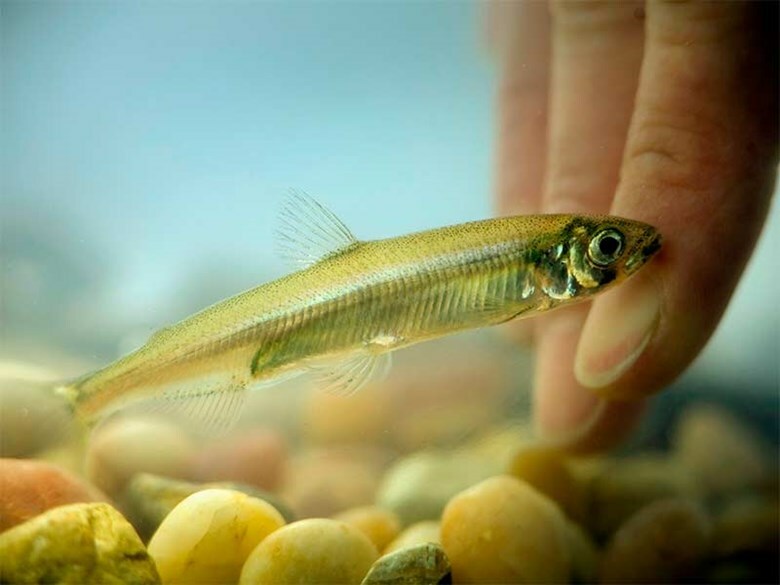 The Delta smelt, an indicator species that demonstrates the health of the Delta Estuary, was once the most abundant fish on the estuary, numbering in the millions. As Delta smelt populations near extinction, recreational, tribal and commercial salmon fishermen face restrictions this year, due to the low abundance estimates for Sacramento and Klamath River Chinook salmon. As is the case with the Delta smelt, salmon populations have plummeted due to massive water exports out of the Sacramento-San Joaquin River system and the Trinity River, the largest tributary of the Klamath, along with poor management of northern California reservoirs by the state and federal governments and declining water quality. The construction of the Delta Tunnels facilitated by MWD's purchase of the Delta islands would hasten the extinction of Sacramento River winter Chinook salmon, Central Valley steelhead, Delta and longfin smelt, green sturgeon and other species, along with imperiling the salmon and steelhead populations of the Klamath and Trinity rivers. This is interesting (and worrisome?). Governor Brown is having trouble getting his tunnels done so he has enlisted the Southern California Water Agency to actively help out before anything has been approved. Personally, I don't have a great problem with the tunnel project IF it were to include many more reservoirs (which we need up here).